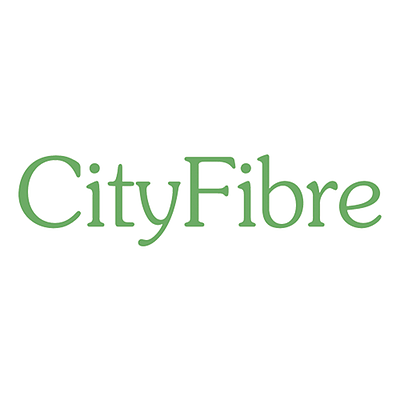 FTTC is a superfast fibre broadband internet telecoms service that uses fibre from the telecom provider's core network to your nearest distribution point or cabinet. The cabinet is the road side box from which the fibre is connected to copper lines, and delivered to your business premises. 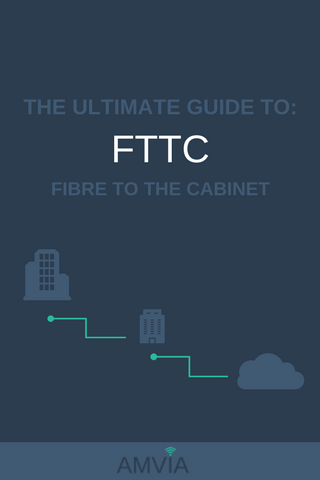 In this guide, we explain in detail what fibre to the cabinet is, what speeds are available, how to check availability, who the major UK providers are, and how to get the best deal. 3. What Does FTTC Stand For? 4. How Does FTTC Work? 5. FTTC Speeds: How Fast Is It? 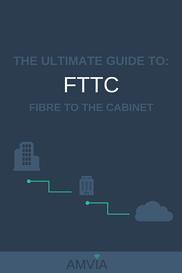 FTTC stands for Fibre to the Cabinet. FTTC uses a mix of fibre optic and traditional copper telephone lines to connect businesses to service providers to provide a fast and affordable business class service. The cabinet is the street level distribution point sometimes referred to as BT green box, or green cabinet. 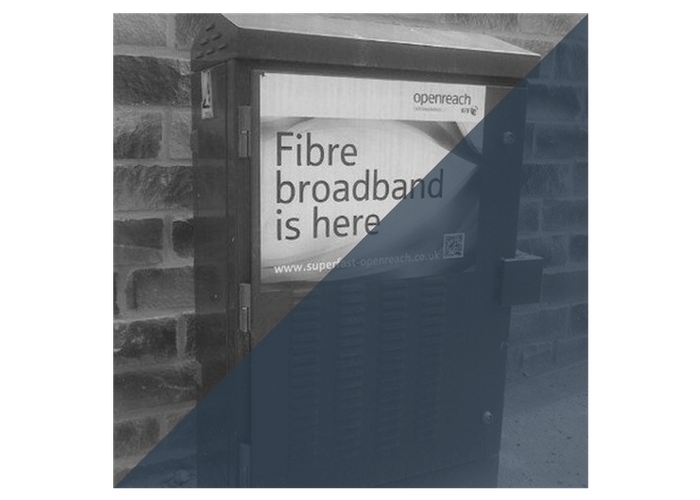 Fibre is installed to the BT Openreach cabinet, and the final part of the FTTC is delivered over the copper cables from the cabinet, to your business premises. Instead of paying to have fibre optic installed directly into your premises (FTTP), FTTC takes advantage of existing local exchanges or street cabinets. Fibre optic cable runs from the provider to the exchange where it then connects to your home or business by copper wire. How is FTTC better than ADSL? FTTC provides a much faster and more stable connection than DSL. The added reliability and improved SLAs that come with FTTC make it a good choice for businesses that need reliable uptime and better download and upload speeds. FTTC uses the telecom carrier's fibre network to transport data to distribution points or Openreach cabinets. 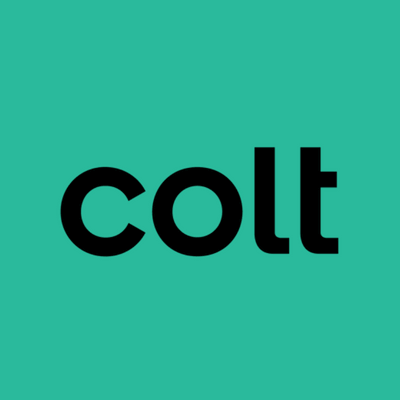 The PSTN or traditional copper telephone network, is then used to transport data over shorter distance than a broadband connection typically requires. The data degredation rate is high over copper wires, so by shortening the distance the data travels over copper, the speed that can be delivered is much faster. Just one FTTC connection can deliver up to 76Mbps on the downstream and around 20Mbps for uploads - much faster than ADSL technology. Improved speeds and bandwidth means your business can support more users so that your business can scale. What is the speed capability of fibre to the cabinet? FTTC is capable of delivering 76 Mbps download, but not all businesses get the fastest speed. Your speed is impacted by the length of the phone line connection between your premises and the cabinet. The shorter the distance to the cabinet, the better potential speeds you can expect. 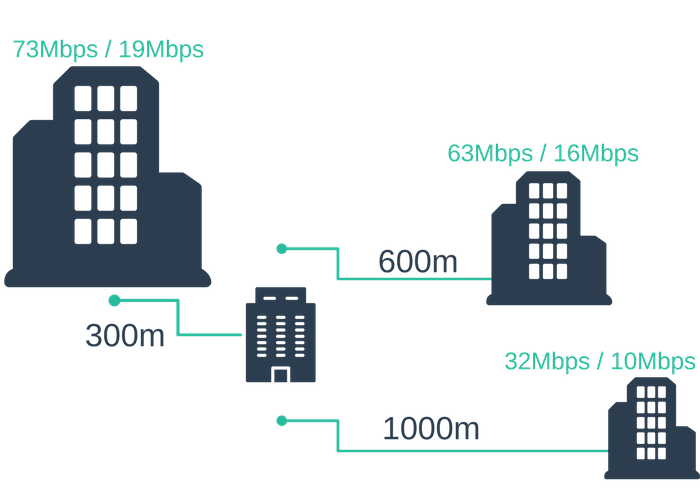 How does distance affect FTTC speed? If your business is within 300m of the distriubution cabinet you should receive 73 Mbps download / 19 Mbps upload FTTC offers. If your business is 500m from the cabinet you should receive 63 Mbps download / 16Mbps upload, and if your business is 1km away you should receive 32Mb download / 10Mb upload. While ADSL typically offers up to 50 Mbps, FTTC can easily give you double this download speed. FTTP has almost unlimited download speeds (up to 1Gbps). While the speed of FTTP might be alluting, the costs of installation can make it prohibitive for small and mid-sized businesses. It really depends on the speed your business needs as to whether FTTP or FTTC will provide you the best ROI. What Is The Difference: FTTC vs FTTP? 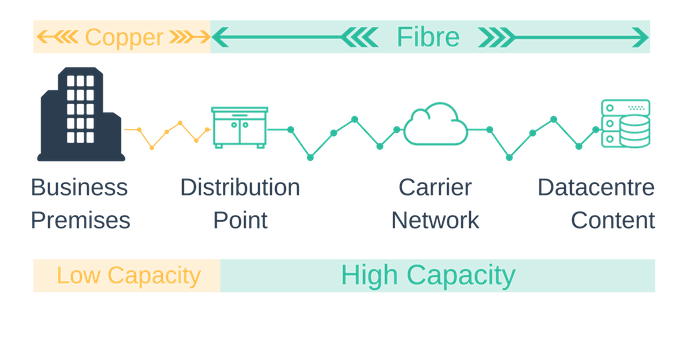 In an FTTC network, fibre is installed from the carrier network to the distribution point. This is why FTTC is known as "to the cabinet" (the street level cabinet or distribution point). The FTTC product uses high-speed fibre to the street level cabinet but then uses copper to reach the business. 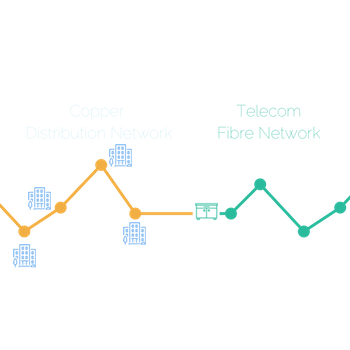 The use of copper in the "last mile" significantly reduces the bandwidth speed that can is achieved over the FTTC service. The data signal degrades over copper, so the longer the copper wire from the cabinet to the business premises, the slower the speed a business will get from the FTTC service. 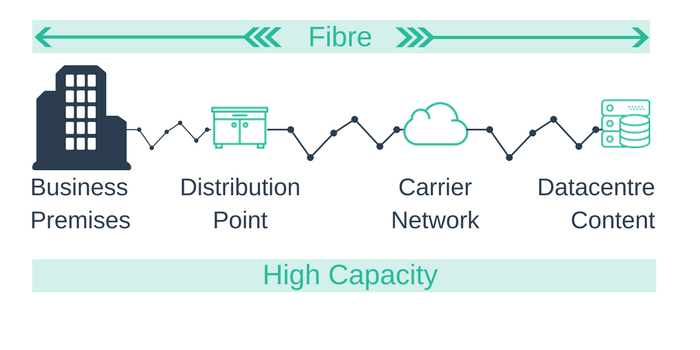 Unlike FTTC, FTTP connects the last part of the network, between the distribution point and the business premises by fibre. Replacing the copper in the "last mile" with fibre has the effect of removing the bandwidth bottleneck that traditionally copper networks have caused. Fibre To The Cabinet is widely available. 86% of the UK has coverage and most UK cities have 100% business coverage. Openreach, is the business which owns and operates BT's fibre network. It has reported that 86% of the UK can now access FTTC. The areas which aren't covered by FTTC are very remote, as can be seen in the coverage heatmap below. FTTC uses existing duct infrastructure which makes for widespread availability throughout the UK. 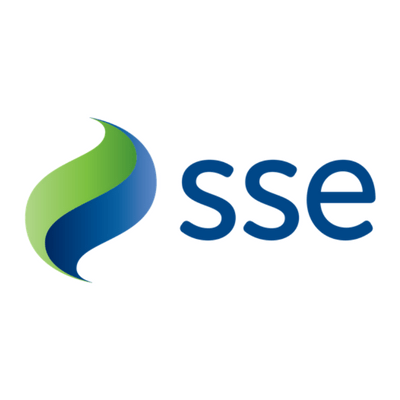 With over 30 million connected lines and premises in the UK your chances of finding a network connection within range are considerably high. To demonstrate just how widely available FTTC is, we have created a heatmap of UK coverage. As you can see most of the UK is covered. If your business is in any of the areas covered by green, amber or red, FTTC is available. To check your specific location enter your landline number into the Amvia FTTC checker. 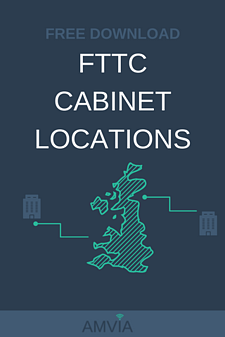 We've built a list of FTTC enabled cabinets, to help you find the location of your local connection point. FTTC has a high availability rate in the UK with BT over 86% coverage. To check availability and pricing in your location, all you need is your landline telephone number. If you have decided you want to get an FTTC service the first thing you need to check is if it is available at your business presises. The easiest wat to do this is enter your landline telephone number into an FTTC checker. Most of the FTTC suppliers have an FTTC checker for their business services. Amvia is different. Amvia is a wholesale FTTC provider and by using our FTTC checker we don't just check availability, you'll also get a comparison of all available providers and their prices at your location. You'll also get free advice on choosing the right service suited to your business needs. Just complete the FTTC checker and we'll get you all the information you need. Make finding the right FTTC simple. In just a couple of clicks you can check availability and get a side-by-side comparison of prices at your business location. It is delivered using fibre to the distribution box, then VDSL over the final copper loop. 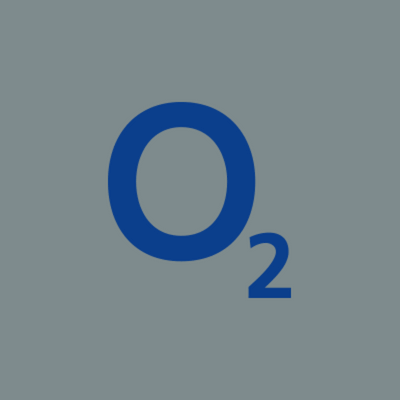 There are two variants of BT Infinity, Unlimited Infinity and Premium Infinity. Unlimited Infinity & Premium Infinity only offer guaranteed speeds of up to 22Mbps download and 3Mbps upload. This is considerably less than the capability of FTTC. The only difference between Unlimited and Premium is that Premium has PC support and Symantec security protection for your desktop devices. If speed is important to you you should compare BT with all the other available options at your business premises. 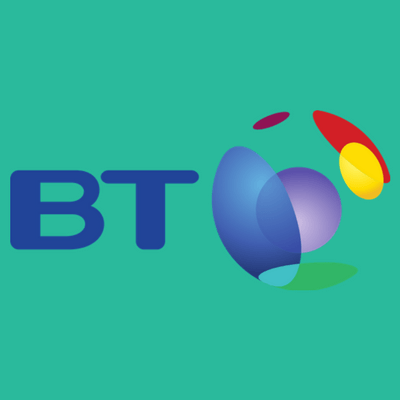 BT has signed up to OFCOM's voluntary business broadband speeds code of practice. Connect all of your office devices using the BT Business Smarthub. You can connect to 1 named user to any BT enabled WiFi hotspot for free. 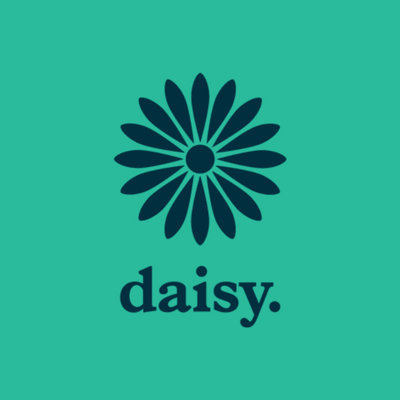 Free telephone support 24 hoursa day 7 days a week, also live chat available 8am - 8pm Monday - Friday. You can connect 1 named user to any BT enabled WiFi hotspot for free. Free telephone support for broadband and your desktop PCs, also Symantec security to protect your devices. TalkTalk's FTTC business product is called Business Broadband. They offer up to 76Mbps download and up to 20Mbps upload. 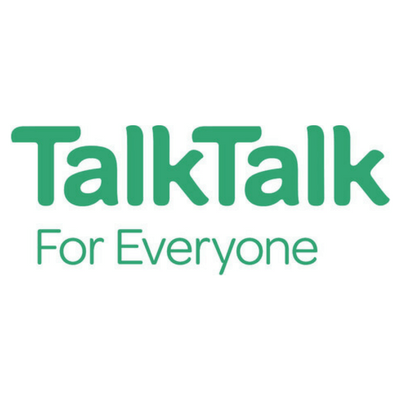 You can get our detialed insight into TalkTalk FTTC here. Virgin Media have a slightly different network architecture called a coax-fibre network. The network is similar, fibre is built to the street level distribution box and then the final service is run over coaxial cable. Coaxial cable is faster than copper. 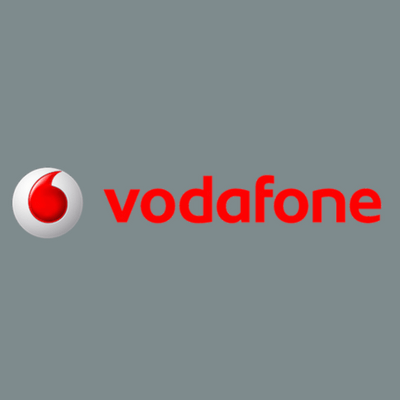 This allows Virgin Media to offer download speeds ranging from 50 Mbps up to 152 Mbps. You can get a detialed overview of Virgin FTTC here. Get this book in a PDF, plus other great content from Amvia! Get high speed, reliable fibre business internet access for your business now.